February 5, 2014 February 5, 2014 | Jodi-Kay E.
Found this yummy little gem while scrolling through my WordPress feed this morning. All credits go to Rakhi blogger behind Little Bliss Book. Head on over there she has so many amazing recipes! I love the idea of this being a breakfast burrito without the tortilla. Of course this can be varied to your taste, but this just looks simply mouth-watering doesn’t it? I even see some breakfast potatoes hiding in the back corner, I love chopping up real potatoes and frying them in the pan with a few herbs mixed in. Better and cheaper than store-bought hash browns. December 2, 2013 | Jodi-Kay E.
This isn’t really a healthy meal but I’m categorizing it under my Food is Fuel Category anyway. 🙂 It has bananas in it so erm… that counts. Made this from scratch over the weekend and just had to share! So on Sally’s Baking Addiction which is where I found this, she said to mix everything separately, as we all know I’m no good at reading directions and mixed everything in one bowl, except for the glaze and swirl of coarse. I am no pro and baking and I’d hate to copy her whole post word for word so I placed the link here. Scramble some egg whites, throw in a little salt and pepper. Sautee some asparagus with tomatoes and you are set! A nice healthy breakfast that will keep you full untill lunch! Tip: Use vegetable oil for the pan, or butter if you’re not worried about counting calories. I didn’t add any cheese but mozzarella cheese would taste great with this as well! 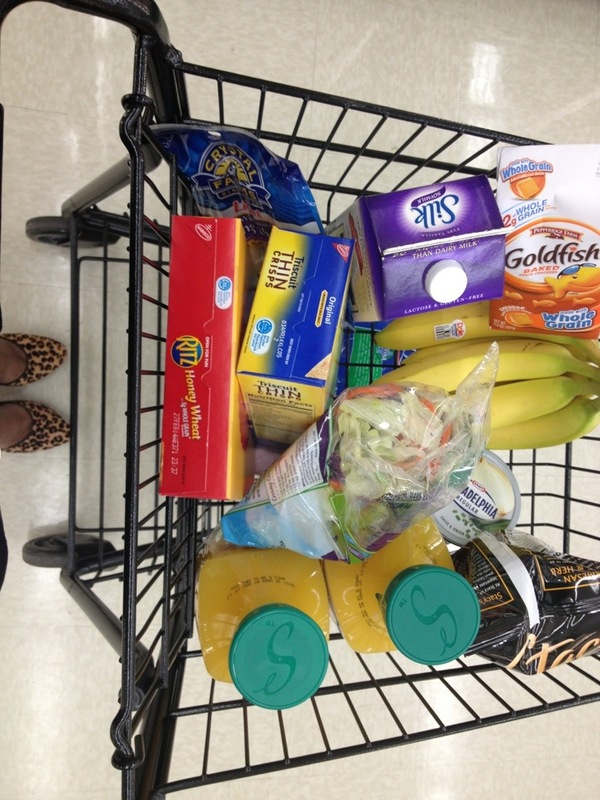 September 23, 2013 September 23, 2013 | Jodi-Kay E.
Today I’m going to take you guys grocery shopping! So we’re in the store starving because that’s usually when we go grocery shopping right? Mouth watering at all the good things we could buy. 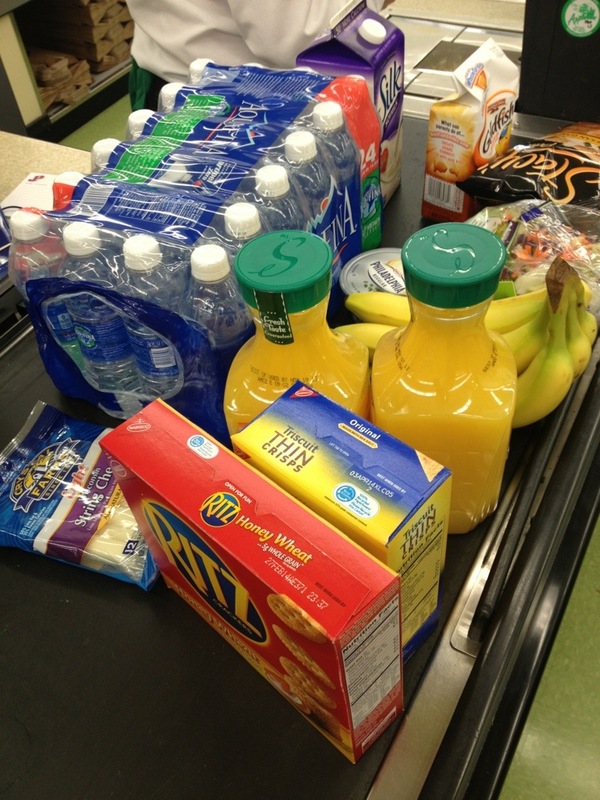 We get our cart, maybe look around for a hand sanitizing towel or something and enter the store. We take out that list that we made in attempt to stay on track and not deviate from the plan and head down the aisle. Now what? I’m here to give you a little spritz on buying snacks. The past few weeks I’ve been giving your ideas for healthy meal plans that will last all week for the busy bee. Here are some of my favorite go to snacks that help me out in between meals. I usually head down the fruit and veggie section first, if I start filling my cart with healthy items from the get go I’m more likely to continue that trend. This assortment of snacks you see here has a little bit of everything that you can find in a regular meal. Carbs- if you are craving chips there are other alternatives out there, I chose Honey Wheat ritz crackers and Parmesan Garlic & Herb pita chips. These have a bit of salt but a considerable less amount that regular chips. There are also special k crips that work well, but those don’t fill me up as well as something a little heavier like my pita chips. Triscuits are for that cream cheese you see there. Fruit- I have some cut fruit at home, but bananas are a great fast and easy snack, you would be surprised how these can actually keep you full for short periods of time in between meals. Dairy: Cheese– “When I’m about to faint I eat a cube of cheese.” Name that movie! Totally kidding here, but string cheese is another great snack that helps those salt cravings, it’s also something fun to eat on those day’s we aren’t really hungry but want something to eat anyway. *guilty The time it takes you to eat a piece of string cheese or two you might not be so hungry after at 50 calories a pop it’s not bad… don’t count calories though it’s bad for you. This and yogurt with sprinkled oatmeal is what I like to eat between lunch and dinner. Milk– I’m not a fan of regular milk but an ice-cold glass of soy milk is just sometimes exactly what I’ll need in between breakfast and lunch. If you enjoy graham crackers as much as I do well you’ll understand it’s like cheating on your regular cookies and milk with half the guilt. 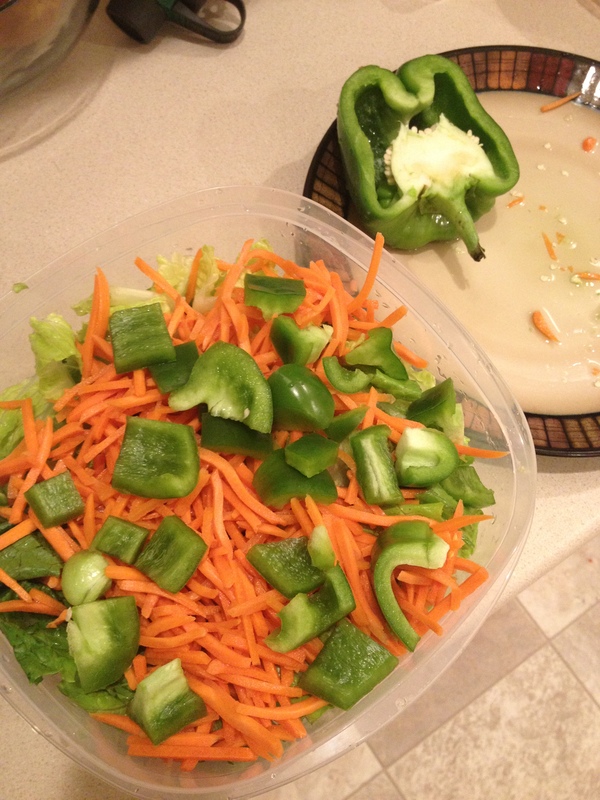 Greens- I like to make a veggie bag for work, I through in some carrots, lettuce and broccoli along with my favorite low cal dressing and I munch munch munch! Call it salad in a bag if you will. Grains- There is pretty much a whole wheat alternative to anything, I really like these whole wheat goldfish, call me five but when I’m in a snacking mood these are perfect in small portions, especially right after I take my nap. 😉 just kidding, I wish though. *le sigh darn you 9-5. Liquids- Did you know it takes your brain 20 minutes to realize it’s full, sometimes all you might need is a good glass of juice or water. I got two because I use OJ in my breakfast smoothies often, also my protein post workout shakes annnd I really like OJ okay? Don’t let this fool you, I do have a major sweet tooth, instead of keeping chocolate around for the sake of my bum, my “candy” snack consists of toast with peanut butter and nutella, but those are already happily at home. You don’t have to be a health nut in fact these are far from the average mixed berries, salad only snacks that some fitness experts may recommend. I’m just here to remind you that all things may be good in moderation. Also it’s a lifestyle, if you aren’t able to quit junk food cold turkey, finding substitutes is a great way to start. 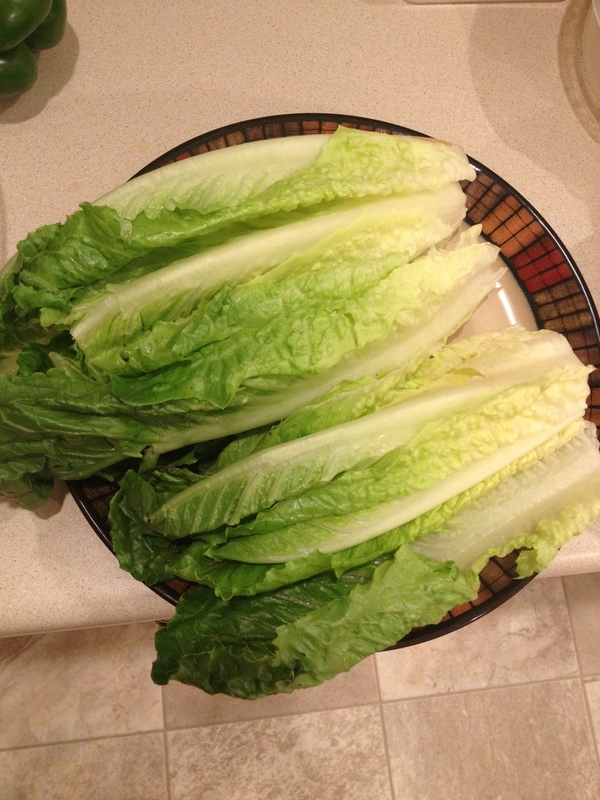 Happy snacking… now where is my juice box? 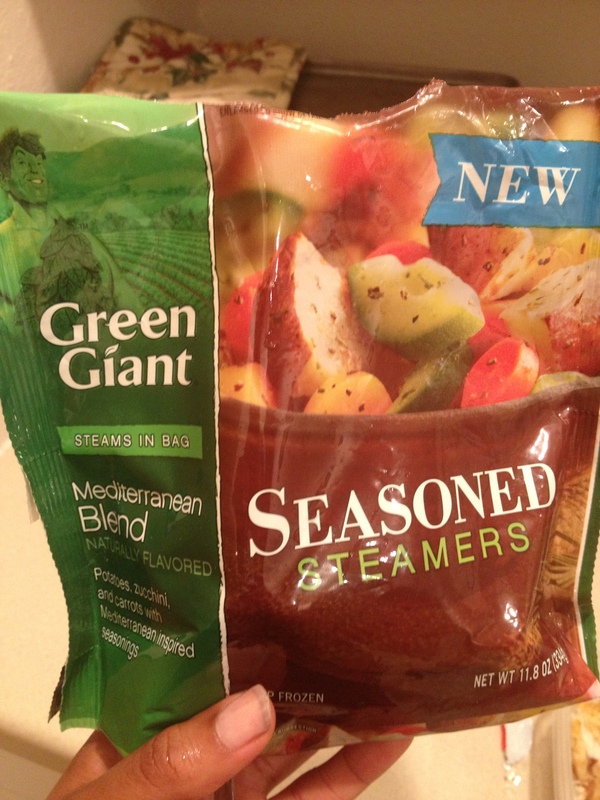 September 16, 2013 | Jodi-Kay E.
This week’s meal plan that I will be covering is breakfast. 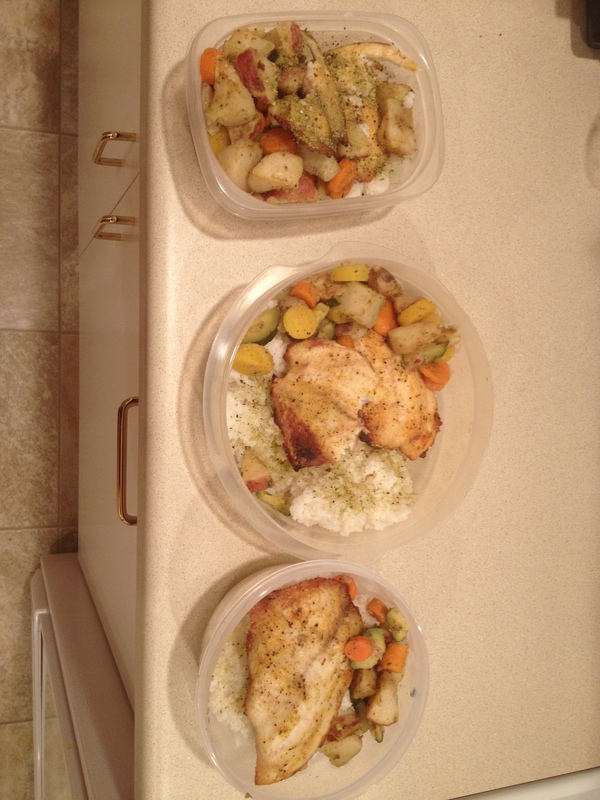 Meal Plan #1 and Meal Plan #2 were good substitutes for either lunch or dinner. This weeks focus is breakfast. I always make sure I eat something for breakfast because it start your metabolism and helps you to feel energized throughout the day. You’ve heard the saying breakfast is the most important meal of the day. It’s true and here is why. What you choose for breakfast is crucial for your health. For example, what do you think will keep you full for longer, a sweet sugary donut or a quick omelette with spinach? A quick fix is not what you need to start you day off right, we should eat items that will give us a long-lasting effect. After fasting all night, which is why we “break the fast” with breakfast no pun intended our bodies are looking to be re-energized. To kick-start your energy level I suggest slow burning foods like whole grains and fruits. To avoid the mid-day sugar slump and to resist the sweet sugary temptation of that chocolate cream filled donut here is my advice for you. Stock your pantry and fridge with some of the items I have listed below. These were just a few of the items on my grocery list for this week. Yogurt- there are plenty of flavors go wild! There are a variety of different breakfast items you can make just from this little list here. This will last you for more than one week, if you’re anything like me and like to eat the same thing for a few days just out of pure laziness or obsession with simplicity then this is your go-to basic breakfast food list. Don’t forget about your spices! September 3, 2013 | Jodi-Kay E.
Time is now 11:23pm yikes! I have to be up for work at 7 tomorrow, but your health is important to me 😉 so here is a quick health spritz for you late night owls. 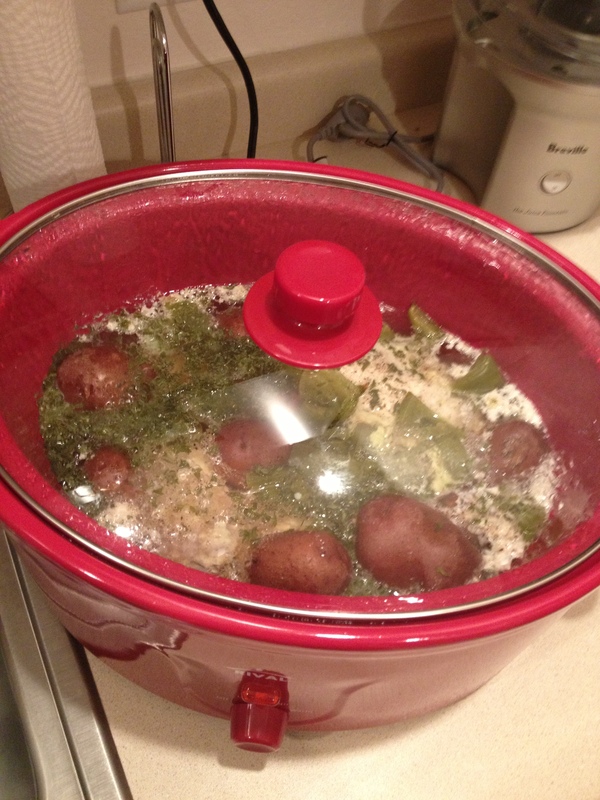 Last week you may have read about my boiled chicken and vegetable recipe. 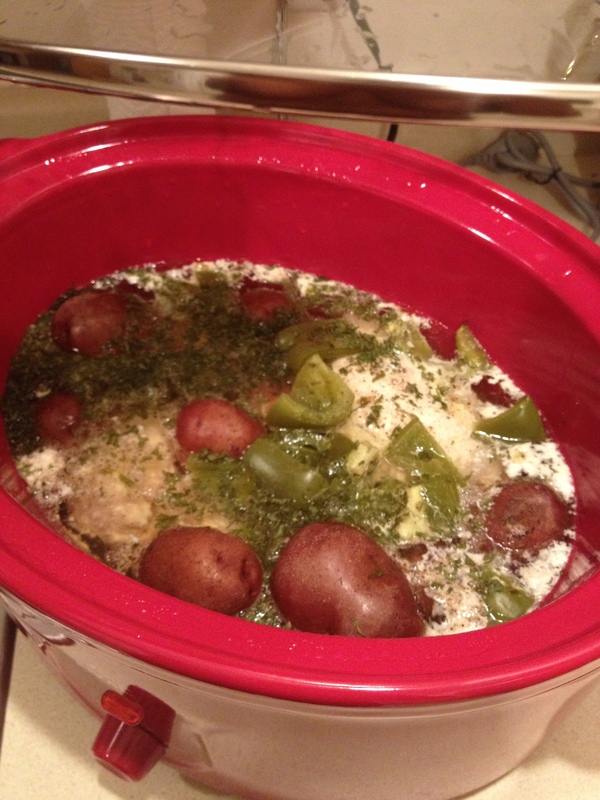 This was my first time ever using a crock pot and I have to say I was very pleased with the results! I don’t know why I didn’t start using one earlier. This week is grilled tilapia and rice. With my meals I usually have a side salad, red potato or some mixed veggies. This meal plan is to be substituted for one main course ( I will be eating this for lunch). 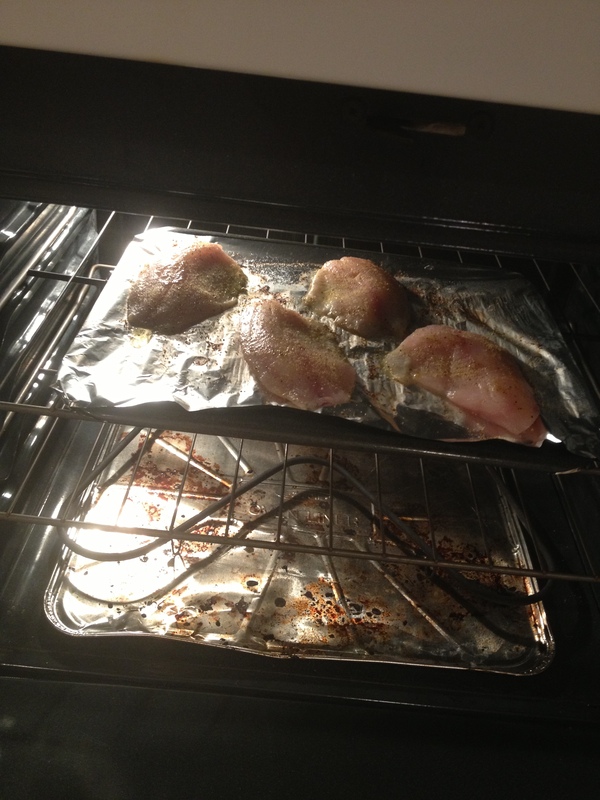 I baked the Tilapia in the oven for about 40 minutes at 450, I knew I wanted it a little crispy. Before I put it in the oven I put a little vegetable oil on the bottom and sprinkled some salt and pepper on both sides. Then I covered most of the fillet in Lemon Herb spice and it was easy as that! I then boiled some rice, put my vegetable steamers in the microwave and waited for my fish to come to a nice sizzle. This is the easiest way (for me) to ensure that I eat healthy for the week. It’s easy to grab something from the fridge that you already made. I had a little taste, and I can’t wait to have this for lunch tomorrow! It smelt so good I really wanted to fix myself a little portion but it was pretty late when I made this and I don’t enjoy eating after 7, it hurts my tummy I did have a bite though, can you see where a chunk of fish is missing? Haha! August 29, 2013 September 16, 2013 | Jodi-Kay E.
I got this idea from a co-worker last week. And I must admit it fits my busy life style quite well. I’m not a huge fan of grocery shopping, infact I’m the type who like to shop only once or twice a month. The problem with that is I either don’t get enough fruit and veggies in because I eat them right away or I don’t eat them at all. 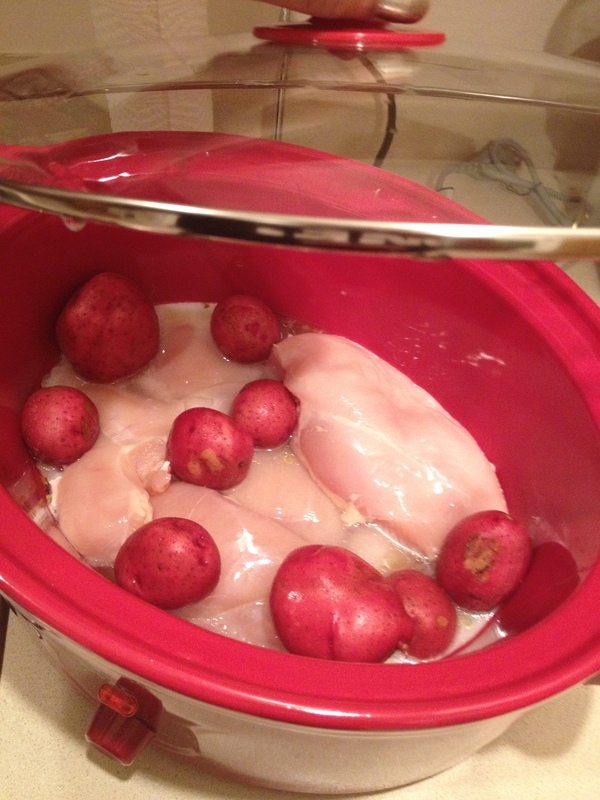 She mentioned buying chicken by the pound and cooking it for the entire week, and so I did! Here is my healthy spritzer for you. Now there is a lot you can do with the list I created for you here. *here is your chance to get creative! Sometimes I’m naughty and have cereal or oatmeal but if you are a person who gets sick of food easily I wouldn’t suggest this, but it’s a nice healthy eating plan that will run you about 30-40 dollars I already had some of the stuff that I starred.